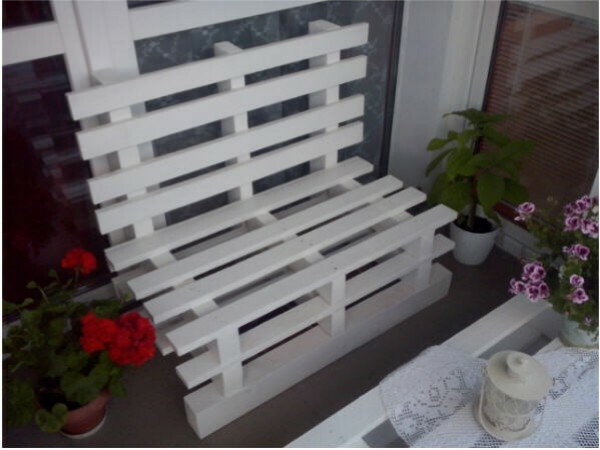 For your new bench from pallets on the balcony you need 4 pallets, grind them and paint with watercolor (or what color you like). 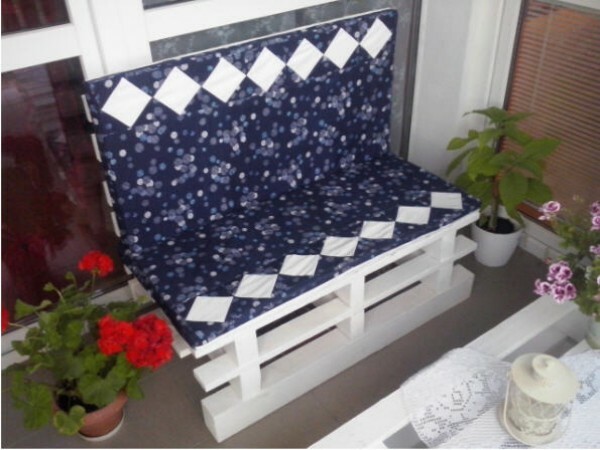 Then put them together with nails (use hammer). For covering you can use your imagination, you can just buy a blanket or use a soft padding and sew a cover.